On a lighter note, I would like to invited everyone to check out my account on Wattpad. I posted a new story just this month, and it's been up for almost a few weeks. I haven't really had a chance to tell everyone about it because I didn't have a lot of free time. 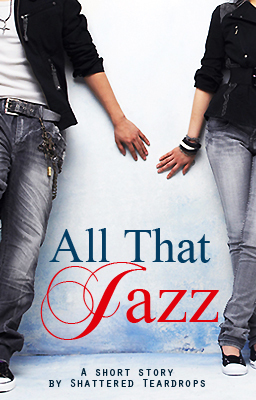 Anyways, please check out "All That Jazz", it's an original short-story.
" Jasmine and Aidan have been long-time friends. Well, it was mostly Aidan being 'I'm-so-hot-and-I-want-you-Jasmine', but then Jasmine was always like 'shut-up-or-I'll-squeeze-your-balls-to-death'. See? Friends. " Admittedly, it has been sitting in my phone for months, up until October this year when I chanced upon it and decided that it was worth editing and posting. It's also posted on FictionPress under the pen name DaniFire. Oh, and before you guys say anything about my fanfics, I decided to keep in writing Keeping the Casanova. It's one of the fanfics that really brought me a lot of friends so I don't want to disappoint them.